Another killer release form author Renee Spyrou. 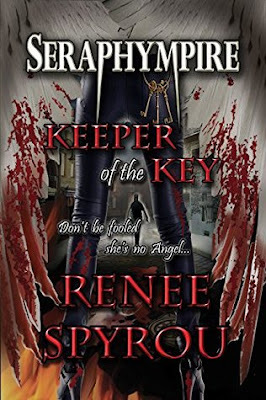 'Keeper of the Key' is #2 in the Seraphympire Series and like in the first book, the main character Makayla takes us on a journey - Not just adventure, but also emotionally. She must find Alexander before a deadly virus wipes out humanity, but Alexander isn't all that he seems. This second book adds enough new characters to deepen the enjoyment while sticking with the central forward moving plot. Thanks to Renee, who sent the book to me as its a perfect book to read by firelight on these cold Autumn evenings. A very enjoyable story and I am so glad that I was able to share my view.